The mission of the European School of Economics (ESE) is to guide its participants to the discovery and the realisation their professional dreams through the building of an individual and formative path composed of study, theory and field experience. 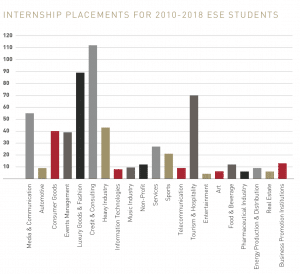 The ESE combines its insightful approach and firm grasp on the job market to look after every aspect of your career: from the entry level and development to advancement and goal realisation. The European School of Economics believes that a man must discover his own dream and do only what he loves to achieve in life his highest aspirations. There is a fundamental link inherent between the development of the individual human being and his professional career – between the evolution of the being and the same man’s financial destiny. The economy of a man reflects his values and level of responsibility. The internship programme is open to bachelor, master, MBA, certificate and short course students and is intended as an integral part of each course programme, consisting of internship based activities as demanded by the company in collaboration with ESE. The objective of the internship is to tie these activities to the academic modules covered in the student’s course of study, reflecting on their experiences in relation to their coursework. 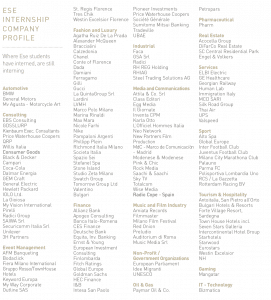 In addition, the internship aims to provide students wishing to pursue a career in a select field with relevant work experience and provide a solid foundation from which to undertake further employment in the selected area.